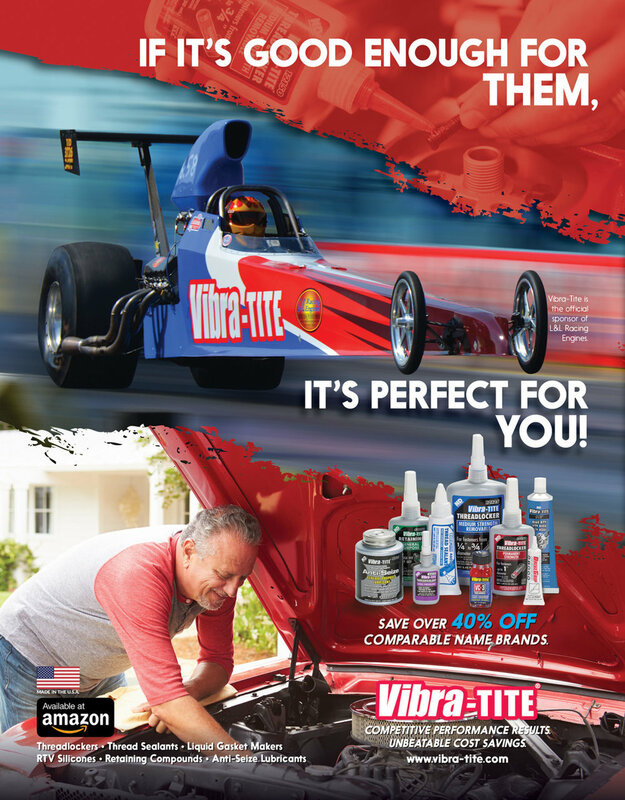 Kanga Motorsports is pleased to announce our new partner Vibra-Tite of Troy, Michigan. Vibra-Tite offers the highest quality threadlockers, thread sealants, anaerobics, cyanoacrylates, epoxies and ultra-violet technologies. Vibra-Tite is the official thread sealant of Kanga Motorsports. James Chartres will be campaigning Vibra-Tite products on the #77 Spec Racer Ford in SCCA. Vibra-Tite, the bottled product division of ND Industries, is one of the world’s market leaders in anaerobics, cyanoacrylates, epoxies and ultra-violet technologies. ND Industries is a family-owned business since 1955 that specializes in the development of innovative materials and processes which increase the safety and reliability of fastener assemblies. Vibra-Tite is proudly an American company with most products manufactured in Troy, Michigan. Vibra-Tite is used by racers, automotive manufacturers, the Department of Defense and NASA. The Vibra-Tite brand has quickly become synonymous with high quality products, responsive customer service, and competitive pricing. Vibra-Tite offers products with the same high quality and performance of other name brands, but at a cost saving up to 40%.